In the spirit of trying my best to shop indie and/or local for the holidays, I'm going to do a series on virtual shopping at my favorite stores in person and online. First up is ReForm School. They are based in LA, which is not local for me, but they do support independent artists and crafters by carrying their wares. I always look forward to their Student of the Month series where they have a featured artist who often makes limited edition goods for their shop. So what would I buy from this shop? We will start with Student of the Month Sarajo Friedan. Sarajo is a well known LA artist. I was lucky enough to see her show a few months ago here at Rare Device in San Francisco. 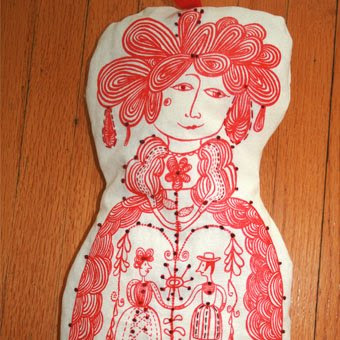 For ReForm School, Sarajo made these limited edition silk screened handmade Hungarian dolls. Honestly, this is a gift I will buy for myself! This Recycled Glass Night Set is a great standby gift for those gift exchange parties you know you're going to get invited to. At $20 it is a very practical yet elegant unisex gift. Plus it is made from recycled glass so bonus green points for you! 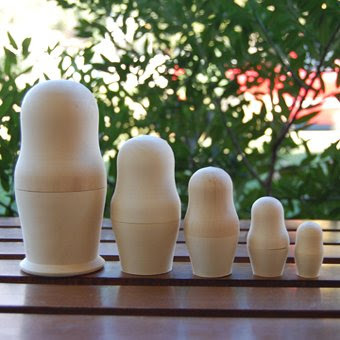 These blank nesting dolls are a perfect gift for your crafty friend. Just imagine the fun that they will have with these! 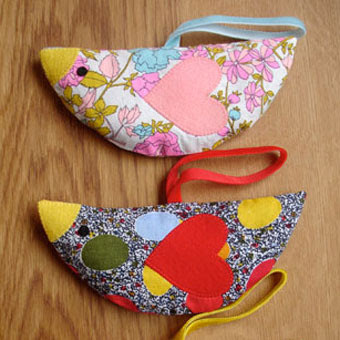 These Lovebird Lavander sachets, made with vintage materials, are the perfect gift for your co-workers. These would also make cute ornaments for your tree. If you want to mix it up for the guys and the gals, you can also get the mice versions. 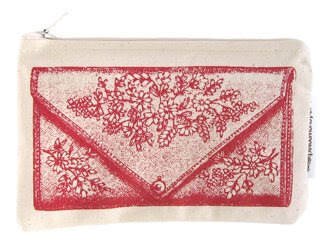 The Vintage Purse Pouch by Showpony is a great gift for your girlfriends. They can all match but still have individual colors. Perfect as a make up bag. 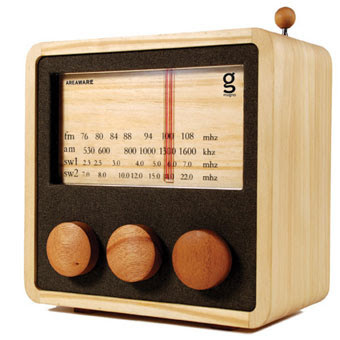 Last but the not least, this wooden radio is the perfect gift for my husband. 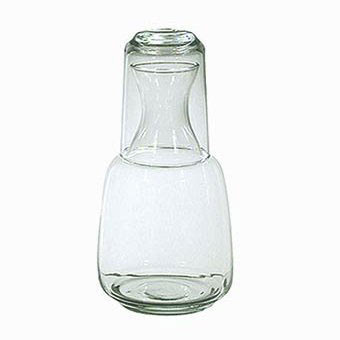 It is such a simple well designed and classic item. I know he will love it.